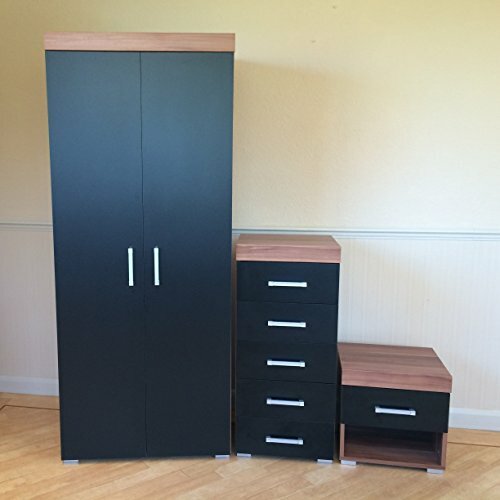 Walnut effect 3 piece bedroom set with black doors and drawer fronts, from the Perth range, exclusively by DRP Trading. 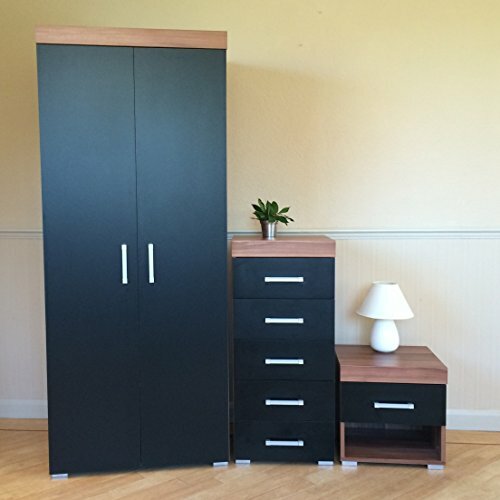 Set includes: 2 door double wardrobe, 5 drawer narrow tall boy chest & 1 drawer bedside table. 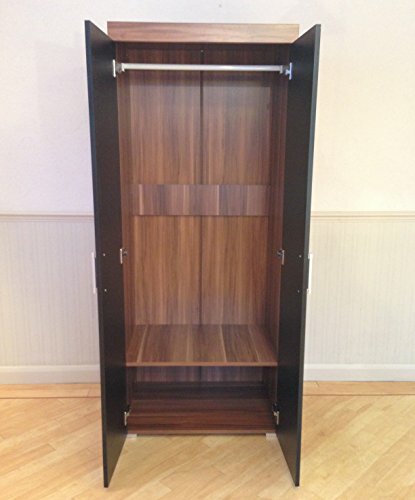 The wardrobe has 2 full length doors and internally there is a hanging rail and a storage shelf below. 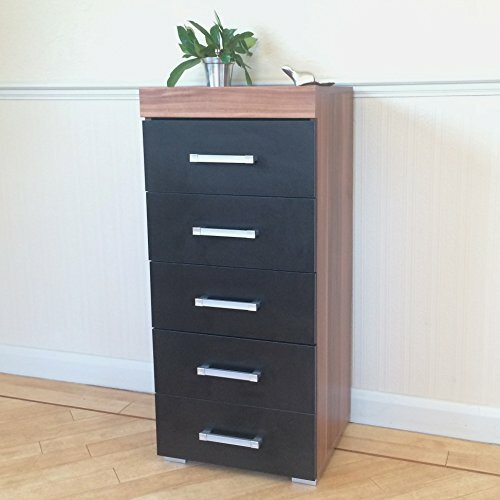 The tall boy chest has 5 drawers and the bedside table 1 drawer and a shelf underneath. 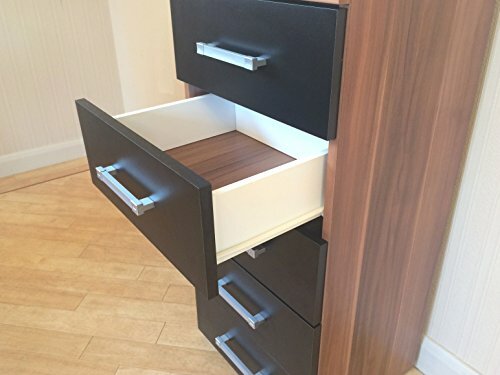 All drawers run on metal runners, and all 3 items are finished with plastic silver coloured handles and feet. 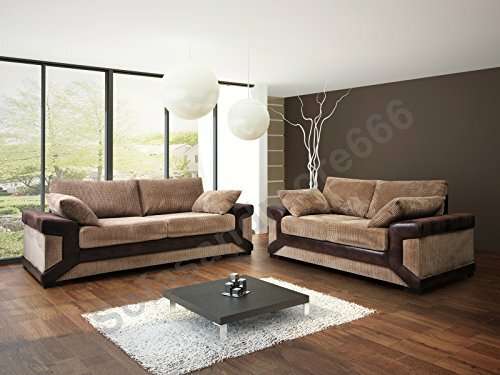 • Walnut effect 3 piece bedroom set with black doors and drawer fronts, from the Perth range, exclusively by DRP Trading. 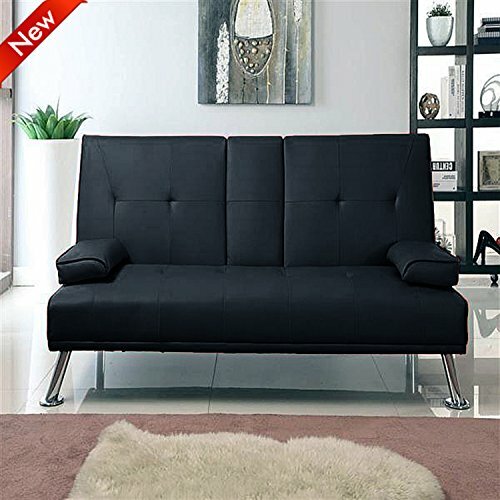 • Set includes: 2 door double wardrobe, 5 drawer tall boy chest & 1 drawer bedside table. 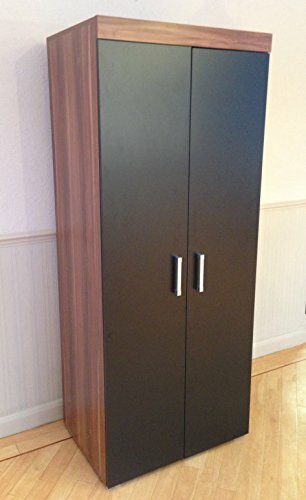 • The wardrobe has 2 full length doors and internally there is a hanging rail and a storage shelf below. 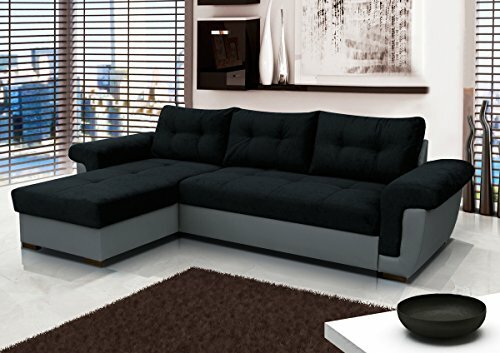 • The chest of drawers has 5 slim drawers. 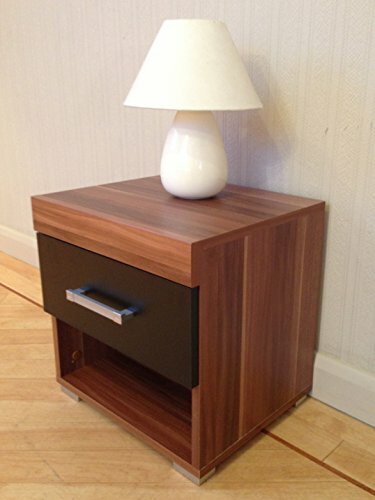 • The bedside table has 1 drawer and there is also a shelf below for additional storage. 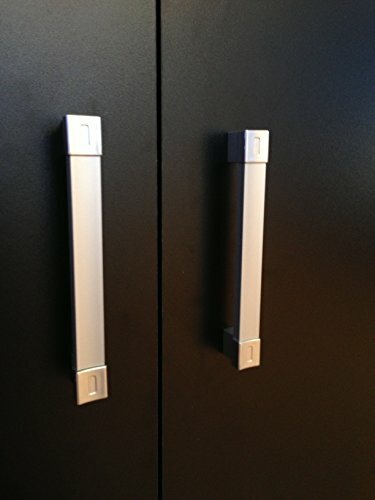 • All the drawers run on metal runners and all items are finished with plastic silver coloured handles and feet. 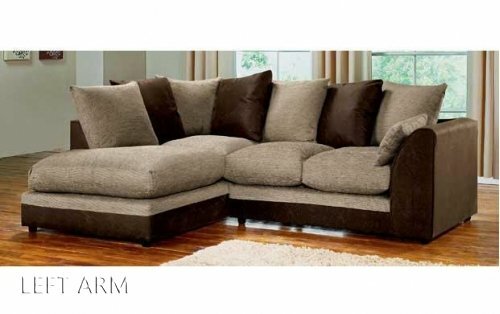 • Also available with white or walnut effect fronts – please see our other listings in our Amazon store! • Additional bedside cabinets, chest of drawers and wardrobes also available. • Supplied flat pack – home assembly required. • Delivery to MAINLAND England, Wales and LOWER Scotland only. Please contact us before purchasing if you have any queries regarding delivery. Supplied flat pack – home assembly required. Delivery to MAINLAND England, Wales and LOWER Scotland only. Please contact us before purchasing if you have any queries regarding delivery.